Here at my house I've been putting off running the vacuum sweeper and it needs it. So today may be the day! Every room has carpet except for bath and kitchen. Hope you have a wonderful Wednesday ! Hubby and me were talking about where to go for dinner Friday night. I said we probably should avoid Mexican because of Cinco de Mayo. If I was the mayor here, I woukd work on helping the homeless more. Lots of them here. That is probably so true that all the Mexican places will be packed! Selfies. I don't get that either. I realized that of all the photos I took on my last trip, I am not in any of them. I already know what I look like, lol. Love your answers. I haven't been to Mexico because I can't find anyone to go with me, for the reasons you mentioned. The first time I heard the "may the fourth be with you" thing, later that same day I learned my SIL had gone into labor. He turns 7 tomorrow. Wonderful Happy Birthday to your nephew! What an awesome birthday! Now I'm getting hungry for tacos! My former hubs and I attended a conference in Acapulco at the Princess that I thought was over-the-top ... until the last morning I threw open the drapes and there in the sand someone had stomped out in huge letters facing the hotel, "F*** the USA." Tom and I were given a trip to Cabo for our wedding, but wound up checking out and coming home early. Nope, nothing there I miss. I'm still eager to hear your surprise, Paula. Don't go changing your mind, OK? Me too Myra! I want a taco NOW! And a nice big margarita!! I won't change my mind on the surprise! I love reading your HodgePodges, Paula and your random thought seems an excellent one and I will try to do just that today :) Thank you! Good advice at the end! We don't celebrate Cinco de Mayo as it has no significance to us. I went to see the original Star Wars when it first come out and I enjoyed it, but not enough to ever watch any more. When it comes to that kind of thing, I much prefer the various Star Trek TV series. It doesn't have any significance for me either. I just love any excuse to eat Mexican food!! Since I'm doing a 30 day challenge and won't follow this prompt on my blog, I'll answer a few of those here. 1. Cinco de Mayo is probably bigger to us than Halloween, mostly because we lived in West Indy, which is largely hispanic, and had OUTSTANDING Mexican food available. Here in Beijing, we went out for margaritas with a Chinese friend, but the restaurant in the location of a former hispanic restaurant is now high-end, so we left after cocktails and had pizza! 2. I've been to Mexico twice, but not to resort areas, just over the border from Texas. So I really have no opinion. 3. I intend to purchase tickets for our first return trip to the US this month - next week, actually. I "MAY" finish the script for July's drama camps. 4. no comment, since I live in Communist China! 5. no comment, as I'm out of the loop and don't know what's popular! 6. HUGE Star Wars fan, but since I've not played the games, or watched the TV series in its entirety, and have never dressed up for it, I'll say a 9. I was thrilled to see your answers here. 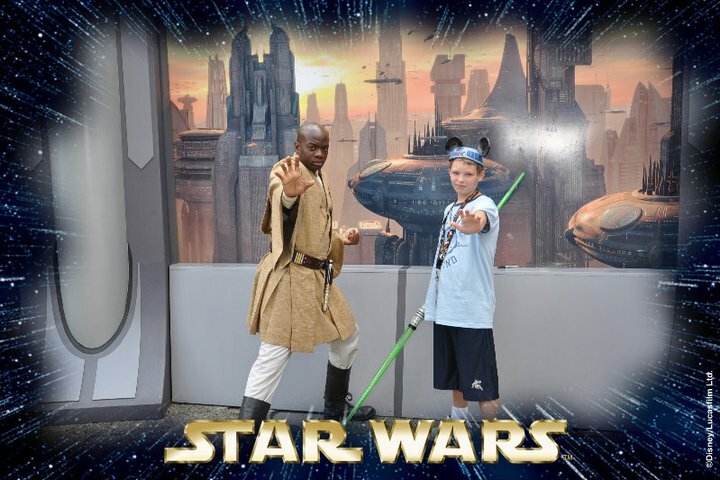 Darian is a huge Star Wars fan! !